The Small Gallery is located between the Valley Artisan Market and the Hubbard Hall offices. Come and see our newly renovated gallery! 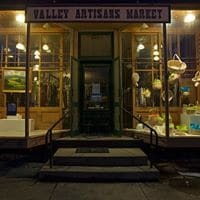 Valley Artisans Market was established by local artisans and craftspeople in 1981 as a retail venue for artists and craftspeople of the Cambridge Valley and neighboring communities. The store and gallery were originally designed as a dry goods store. The store area retains the original chestnut shelving and hardware. The interior walls are wainscoted, made of an extinct local chestnut milled onsite during the construction of Hubbard Hall, in 1878. 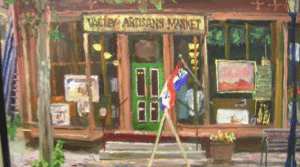 VAM is located at 25 E.Main Street in Cambridge next door to Round House Bakery Cafe. 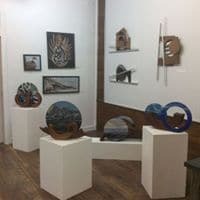 For hours and information, please call the Gallery at 518-677-2765 or visit their Website or find them on Facebook. Join us for one of these amazing art shows and events at VAM! Open Tuesday-Sunday 10 am – 5pm.